In over 100 nations, teachers implement Youth for Human Rights’ curriculum, teaching children of all ages their fundamental rights. Creating a world where human rights are known and protected starts with effective educational programs that reach across all cultural and geographic boundaries. Youth for Human Rights International is a human rights resource for educators in over 100 nations. Teachers, professors and national government leaders can look to YHRI for a solid curriculum in human rights that is in complete alignment with their goals for cultural, economic and social development of their regions. Human rights education should be a fundamental, core aspect of every school and college curriculum. 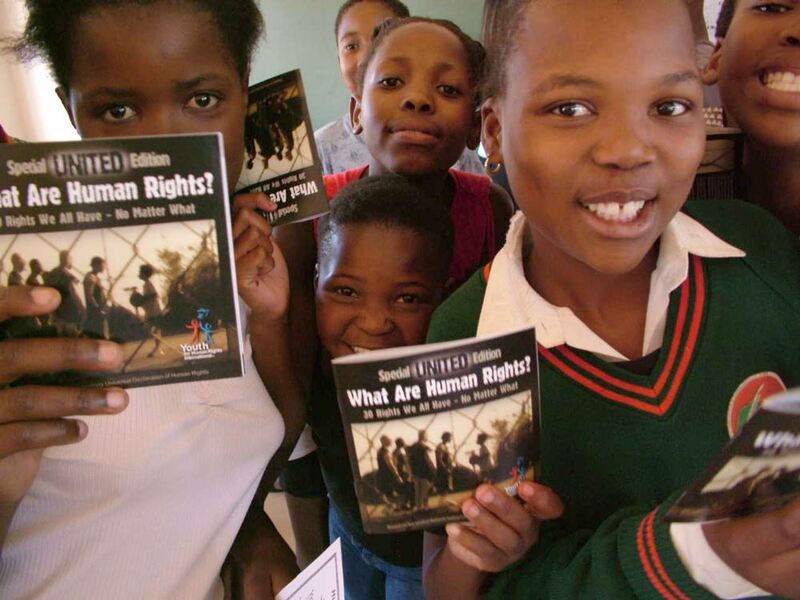 By capitalizing on the resources provided by Youth for Human Rights International, educators can quickly and simply incorporate a human rights program into curricula. The results, both within schoolroom walls and beyond, are that youth learn about and gain better understanding of their human rights and responsibilities.